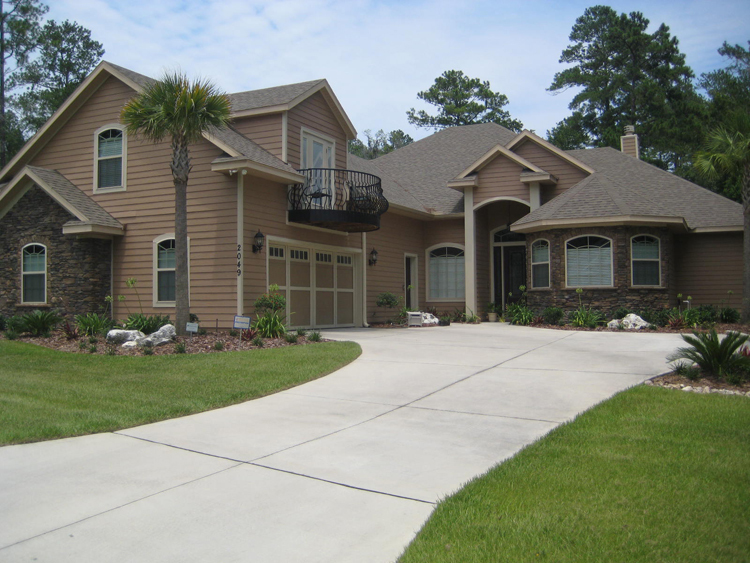 Gainesville Lawnscaping can assist you in the design and installation of a stunning landscape for your home or office. During the estimate process we will determine your likes, dislikes, needs, and desired outcome then define a completion timeline and proposed budget. Once we have all of this information, we will get right to work and provide all customers with a property sketch and/or a 3D full landscape design. Our experienced staff will assist you in finding a landscape design that fits both your visual needs along with your available budget. 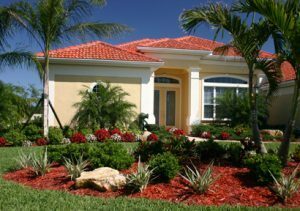 With thousands of flowers, shrubs, trees, and ground covers at our disposal, we can ensure that your new landscaping design will be one of a kind! One of our favorite daily tasks at Gainesville Lawnscaping is creating stunning new landscapes around town. 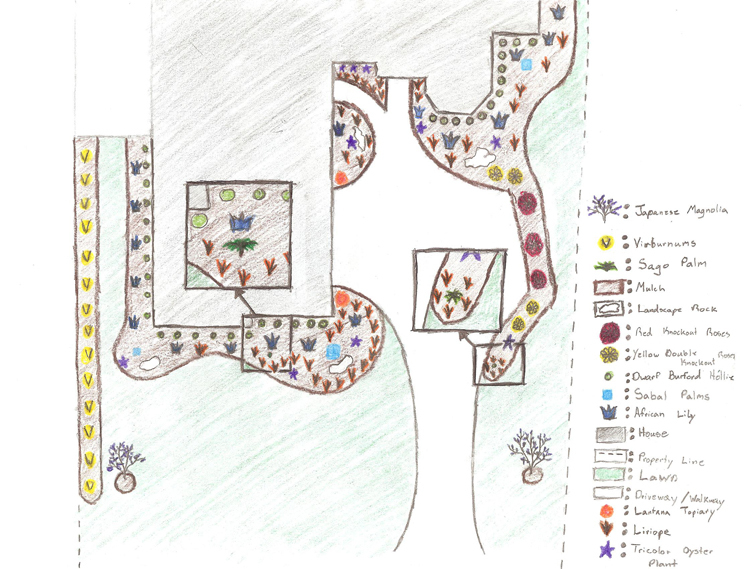 Our experienced staff has the ability to design, explain, and install a new landscape to meet any budget. 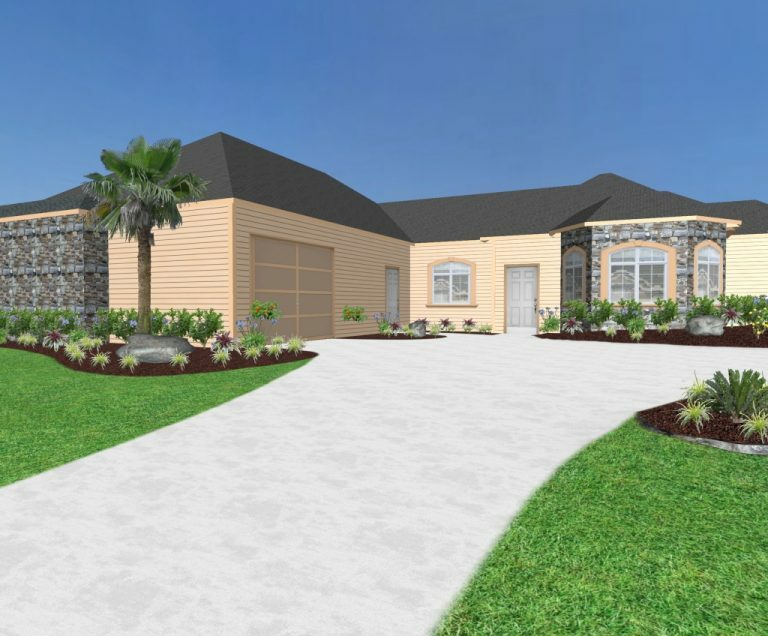 Our designs can be done by hand drawing or through computerized software that will actually give you a 3D rendering and video of the proposed landscape. If you are in need of a new landscape for your home or office, give us a call today to set up your free estimate!